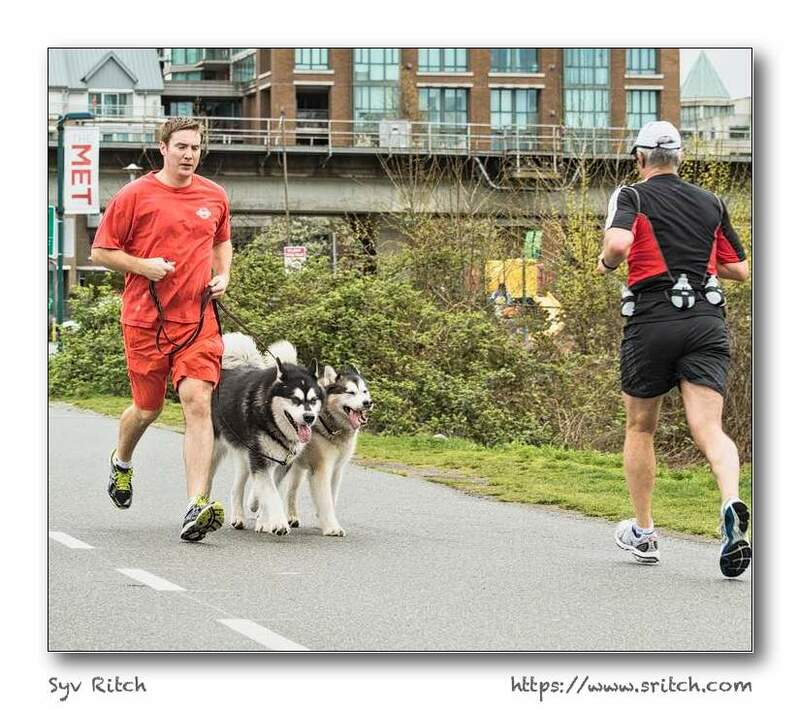 Many people jog on the weekend, especially on the Vancouver Seawall. 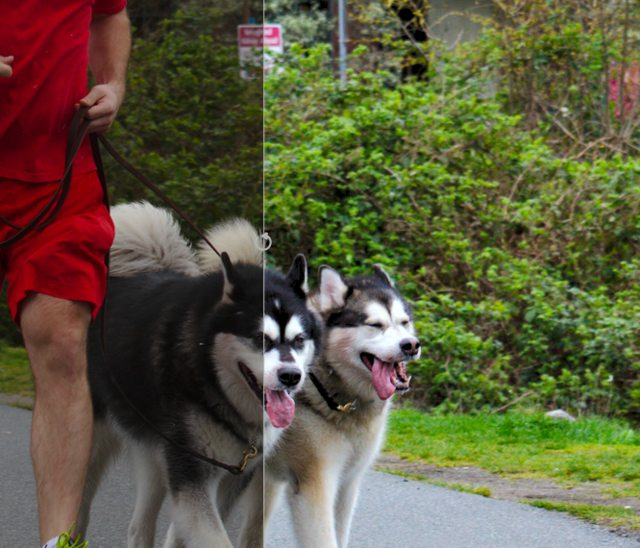 Often, I see people jogging with their dog but with two huskies? Never before.